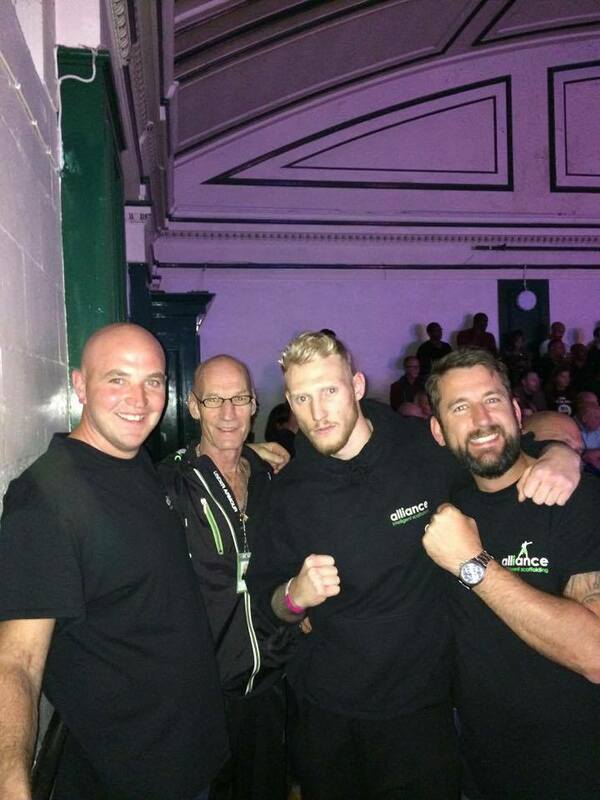 Here’s a picture of Justin and Daniel with boxer Ollie Pattison and his trainer dad following his second professional fight at York Hall on Saturday night. It was, as anticipated, an incredible night with 18 bouts on the fight card and 5 title belts decided at this epic Goodwin Promotions event. It was Ollie’s second win against experienced professional Gordan Glisic and his fans were out in numbers with the Alliance team to show their support for this super-talented fighter. We are extremely proud to be Ollie’s official sponsor this year, and are looking forward to his next fight with much anticipation. Congratulations to you and your team Ollie, you absolutely smashed it! !